Antipa Minerals (ASX:AZY), the company conducting exploration at a Western Australia-based copper project with partner Rio Tinto (ASX, LON, NYSE:RIO), said Tuesday it had so far failed to find any economically viable veins of ore at the asset. 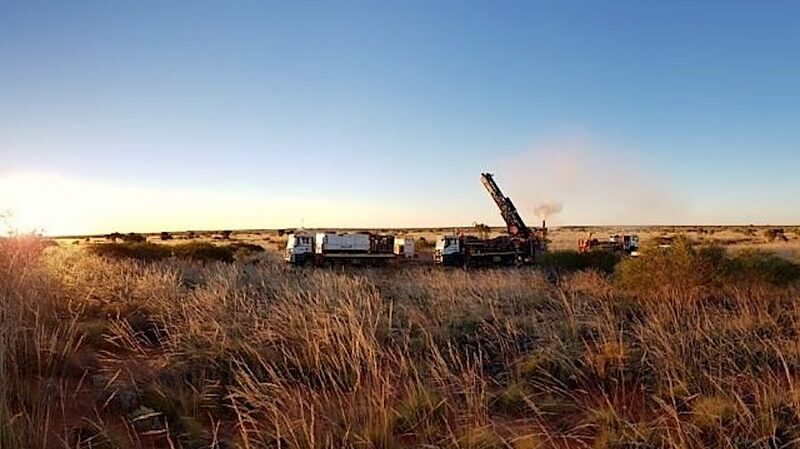 In an update Tuesday, the junior miner noted "weak mineralization" in the Folly target area that is part of the Citadel project, located in the Paterson province in a remote part of Western Australia’s Great Sandy Desert. Antipa, which is also carrying out exploration activities on the North Telfer Project, located 40 km north of Newcrest’s world-class Telfer copper-gold-silver mine, noted that at this stage there was "no follow-up envisaged" for the Citadel project. Antipa, which is also carrying out exploration activities on the North Telfer Project, noted that at this stage there was "no follow-up envisaged" for the Citadel project. With partner Rio Tinto, Antipa sought to identify gold and copper mineralization at Citadel through the use of geophysical airborne electromagnetic (AEM) conductors. When kicking off the AEM survey in November, the companies both indicated they intended to follow up and test any targets they could identify in 2019. Through an agreement inked in 2015, Rio has the right to earn up to 75% in Citadel after spending A$60 million (approximately $43m) in exploration over several years. Citadel is not the only copper project Rio is looking at. The company has applied for nearly 30 exploration licences in the Paterson province, which is seen by many as a clear indicator of highly promising finds. The Anglo-Australian group is also exploring Mongolia’s metals-rich Gobi desert, where it owns the vast Oyu Tolgoi copper-gold mine, scheduled to be operating by 2027. Last year, Rio also applied for exploration permits in northern Chile’s Arica region. The firm already owns a minority stake in Escondida, the world’s largest copper mine, but the company doesn’t have its own operation in the country. Rio is not the only miner on the quest for copper assets, a metal the industry sees as having one of the strongest outlooks. There are expectations that the electric-vehicle boom and demand for renewable energy will increase need for the metal. The expected deficit will partly be a consequence of increasing demand for power generation (there are 300kg of copper in an electric bus and nine tonnes per windfarm megawatt). 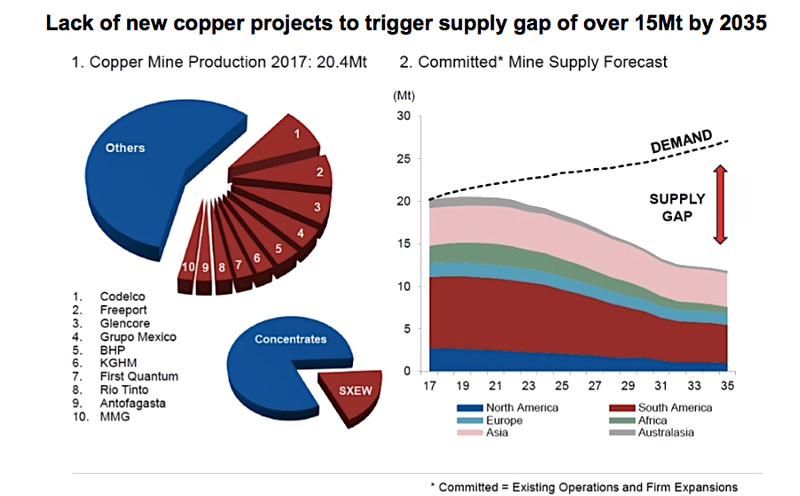 Graph courtesy of Hamish Sampson | Analyst at CRU’s Copper Team. But it’s also related to the fact that the current copper pipeline is at the lowest this century, both in terms of number and capacity.